If you have ever drunk alcohol, there's a good chance you've also had a hangover. As a widely experienced result of alcoholic consumption, hangovers have a broad variety of familiar negative effects: vomiting, fatigue, headache and increased blood pressure are common physical reactions. Psychological symptoms can also include irritability, anxiety and depression. But as familiar as these symptoms may be, a lack of research means hangovers remain something of a scientific mystery. While acute intoxication has been the subject of tens of thousands of research papers, only a handful have ever investigated its after-effects. Hangovers are often mistakenly thought to be caused solely by dehydration. However the physical symptoms are caused by several factors, including dehydration and electrolyte imbalance (the thirst and light-headedness), inflammation of the stomach and intestines (the nausea and vomiting), disturbance of sleep and alcohol metabolism (the sweating). 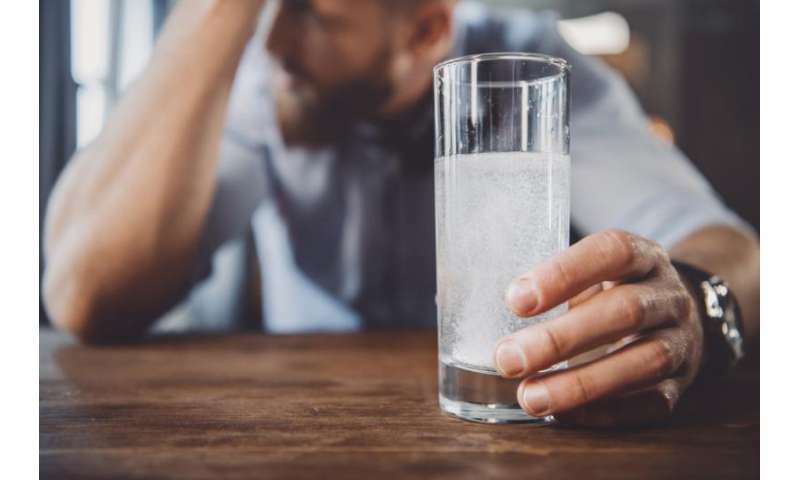 The cause of the psychological consequences is less well known, but it is likely that the cognitive and mood effects of hangover involve changes in neurotransmitter function in the brain. Hangovers clearly have a negative impact on health. Yet they are often ignored in public health messages on the use of alcohol. Hangovers also bring a significant economic cost – and it is a cost which is difficult to quantify. The British government estimates that hangovers (and other alcohol-related illnesses) cost the UK economy 17m working days of absenteeism every year. But what about the people who do show up for work after a night of drinking? A recent survey revealed that on any given work day around 200,000 British workers turn up to work hungover. How productive or professional can they be while their bodies are busy processing the physical impact of the wine or beer they consumed the night before? Hangovers have also been linked to increased conflicts at work, reduced job completion and inefficiency. A recent survey showed 83% of employees felt that being hungover made a difference to their work. Of these, 22% admitted making mistakes as a result of being hungover and a third admitted that they "drift off and don't work at their usual pace". Alcohol intoxication itself impairs major elements of brain function, and affects our capabilities to assess risk and make decisions. It also cuts attention levels and memory. It is not fully understood how these effects might continue during the recovery process. The trouble is, measuring a hangover and its effects on work performance is not easy. Surveys often rely on people's own assessment of hangover symptoms and opinion of their work performance. One research review found that of 13 studies examining the effect of alcohol hangover on brain function, only five showed a detrimental effect from hangovers. They found impairment in recall, long-term memory, focus and management. But the low number of studies which showed the harmful effects of hangovers may just be down to poor research methods. Finding subjects can be tricky. The last thing someone suffering from a hangover might want is to go through a series of complicated tests. These studies involve participants being given a controlled amount of alcohol in a laboratory setting to induce a hangover. Or they may be asked to engage in a normal evening's drinking before arriving at the laboratory the next morning. They are then asked to perform a range of computerised tasks designed to probe cognition levels. But so far, scientists have not yet been able to fully explore the effects of alcohol on cognitive processing in the hangover phase. Another area in need of investigation is the hangover's influence on driving behaviour. Most drivers will judge that they are safe to drive after an episode of drinking by estimating when there is no alcohol in their system. This is also the point at which hangover begins to take hold. Hangover is defined by most experts as the point when an individual's blood alcohol concentration is zero, when all the alcohol has left the bloodstream. Motorists have indicated that their driving quality is poorer and less safe when they were hungover. In tests using driving simulators, they swerved more and had increased lapses of attention when hungover. But with just one study examining the impact of hangovers on driving, it is essential that further research is undertaken. What we do know suggests that hangovers affect our ability to carry out everyday activities and we may have to adjust our understanding of the impact of hangovers on our lives. A hangover at work may become as frowned upon as turning up drunk at the office. Hungover driving might be seen as widely unacceptable as drink driving has become. It's a sobering thought.